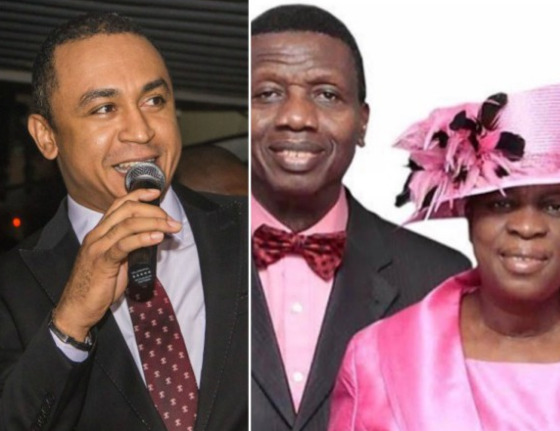 Controversial media personality, Daddy Freeze, has again taken a swipe at the General Overseer of the Redeemed christian church of God Pastor Adeboye over the ongoing tithes controversy. This time around, Freeze says G.O Adeboye needs to brush up his biblical proficiency, countering his statement earlier that only a mad man will bring alcohol into the church. OAP freeze stressed that Pastor Adeboye has made a mockery of christianity and shamed his scriptural knowledge with such a statement. On his instagram page, he wrote “A General overseer can NEVER override the scriptures, NEVER. “That GO made mockery of Christianity and brandished the bankruptcy of his scriptural knowledge. “Is he doubting the sanity of the almighty God who declared that tithe could be used to buy beer in Deuteronomy 14:22-26 or is he saying that Moses is a lunatic? “Read bible they won’t read, na so so brainwashing dem sabi. Hmm, borrowed religion haff scatter Nigeria. Wonder if politicians will thief on the name of Sango. Or who says religion is a monopoly that everyone had to belong yo a particular religion. However, in Nigeria we don't lack religion. We got so much worship houses. In fact, so much warehouses that had lost its purpose turned to worship centers. What we lack is not religion in Nigeria. What we lack is empathy. We had because of this totally lost the true essence of human existence. Hence, hate, wickedness, stealing, jealousy, envy etc exists even in the worship houses not to talk of society. Besides, many Church owners ( I had stopped calling them men of God. Who made them men of God?) had lately flexed muscle with entertainers and politicians in wealth acquisition. The poor in the Churches for example remain poor and miserable while the Church continue to take from the little of nothing in their possession. The earlier we break free from this shackle of deceit and entertainment on the name of religion the better for the nation. The true religion is EMPATHY. That is lacking in our society. Reason we lack development and progress as a nation and a people.